Some examples of corporate graphics for print media use. 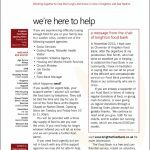 Print graphics for local organisation Knighton Food Bank, including newsletters, stationery, report covers, posters and fundraising publicity. Brochures, pocket folder and certificates for Collective Learning, a company based in Wales providing high quality training and curriculum support for teachers and schools. Graphics for local guided tours company TriCounty Tours, applied to print media, advertising, publicity and vehicle livery. 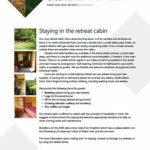 Presentation and print graphics for Greenspace – Forest and Craft Retreats in Mid Wales. Print and promotional graphics for Knighton Vision community based campaign group in Mid Wales, supporting new local independent councillors in 2017 town council elections. Items include posters, flyers, badges / stickers, downloadable information leaflets and a short-term website. Site includes Welsh translations of appropriate leaflets. 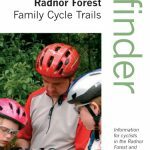 Presentation and print graphics for Forestry Commission led tourism project ‘Pathfinder’, cycle and walking trails in the Mid Wales Radnor Forest area. Project was presented in both English and Welsh language versions. Complete visual identity as applied to stationery, publicity, publications and signage for Mid Wales based Bleddfa Centre, bringing together creativity and spirituality. Publicity graphics and website for Poetry Marathon 2017, a free one-day poetry festival being promoted in Knighton, Mid Wales, by the local volunteer Knighton and District Refugee Support Group. Also included are stationery items and social networking pages.